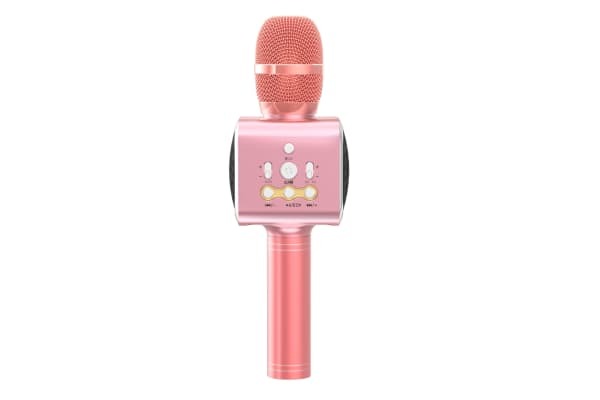 Rock out to your favourite songs with this Bluetooth Karaoke mic and sing your heart out with show-stopping sound quality that will have your audience screaming encore! 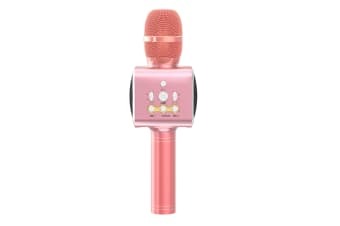 Take centre stage with this Bluetooth Karaoke Microphone with Built-in Speaker and LED light, letting you belt out your favourite tunes in even crisper clarity than before by eliminating the original singer’s voice so you can be heard loud and clear. 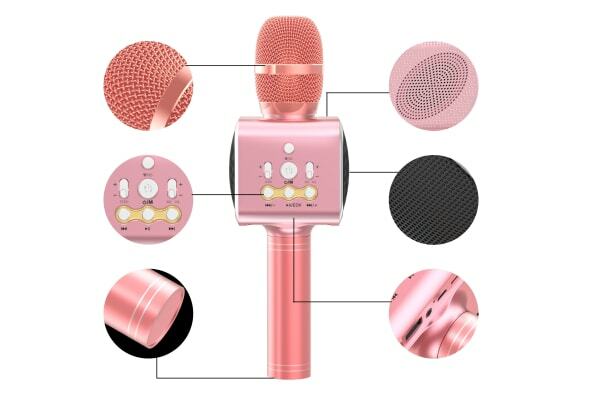 Simply connect the mic via Bluetooth and let the tunes roll. It even doubles as a speaker when you want to blast tunes and rock the night away! Let your notes ring out magnificently thanks to dual 5W speakers and a multifunctional mixer that lets you fine-tune your voice. 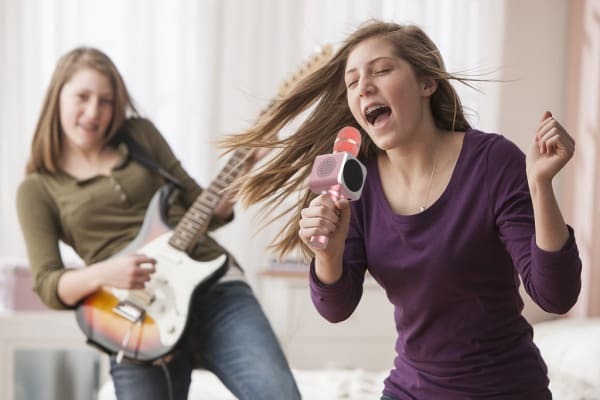 Make your falsetto soar higher than an eagle with the high-pitched voice setting, helping you nail those high notes perfectly!